The CSA "Over 030" is a 68030 card that goes into a 68020 socket. 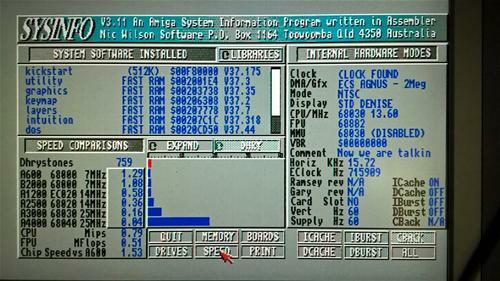 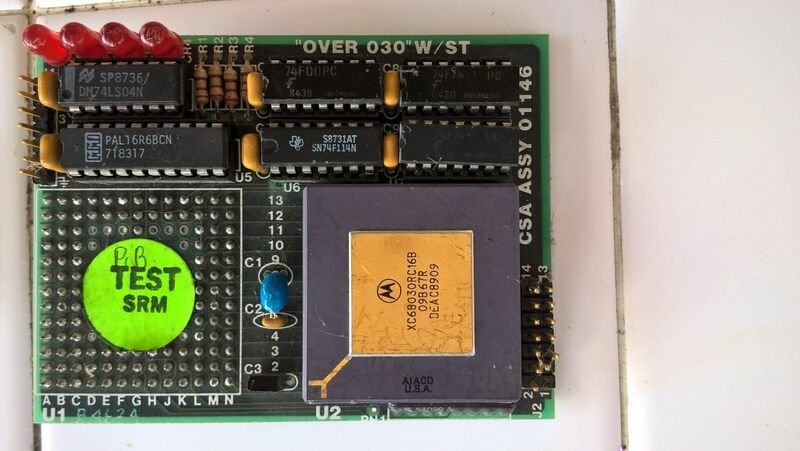 It was designed to go in the Turbo Amiga CPU accelerator, whether it works as a general accelerator for 68020 accelerators is unknown. 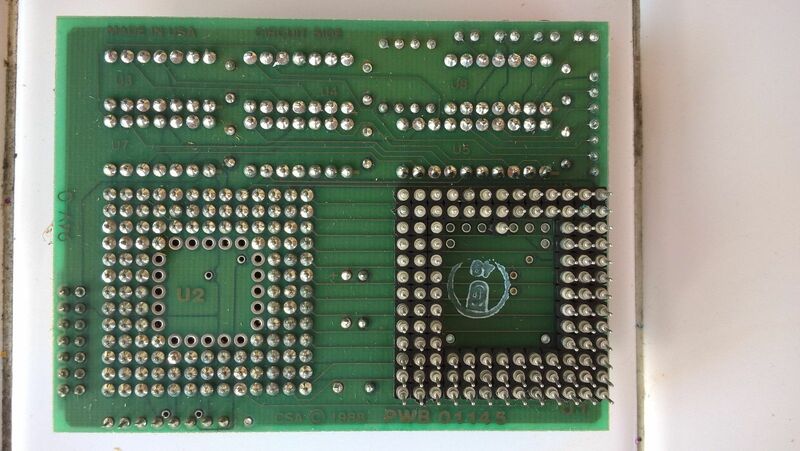 The 030 consists of a small board with the 68030/68882 CPU/Coprocessor processor and CPU pins so the board can be installed in the socket of the 68020.